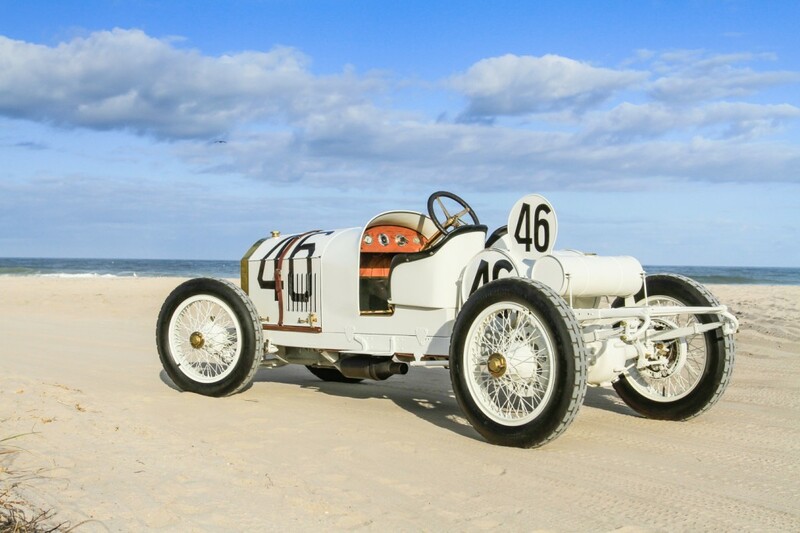 Amelia Island Concours D’Elegance ranks high on the list of elite car shows worldwide. In 2013 some 300 vintage autos wowed the crowd, each a prime example of its class. 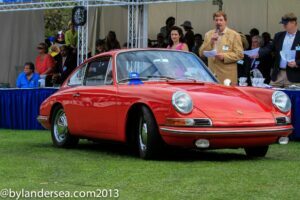 Special categories highlighted the fiftieth anniversary of the Porsche 911, the Corvette Singray and the Lamborghini. No wonder thousands attended the multiday events strewn around Amelia’s Ritz Carlton and the fairways of the Golf Club of Amelia Island. Amelia Island itself is a gem, a skinny strip of land off Florida’s northeastern coast. The isle attracts beach goers with 13 miles of uninterrupted coastline and golfers to ten top courses within ten miles. 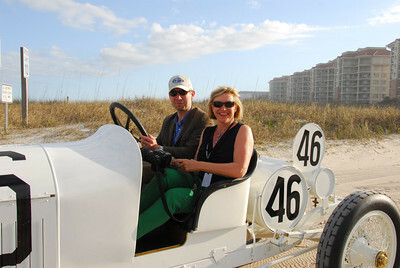 I drove from St. Augustine to Amelia Island to meet Richard Truesdell, Editorial Director of Automotive Traveler.com Magazine. Richard had flown in from California to attend three days of the auto festival: the auction, road rally and Sunday’s spectator viewing and awards ceremony. While I’m certainly no authority on cars, hanging with Rich made the event more understandable and fascinating. He pointed out engine and design details and why each change was significant. I could best relate to the Porsche’s since I once attended Porsche Driving School sponsored by Brumos. In addition, working as a contributor at Automotive Traveler Magazine has provided me opportunities to tour auto assembly plants, get behind the scenes at Daytona Speedway and ride in a pace car on the Kansas Speedway. But, I’ve never had a ride in a 1908 Mercedes Benz – I suspect not many have. This serendipitous experience occurred after the awards presentation at Amelia Concours, as the vintage autos were being loaded onto transporters to be shipped home or to another auto show. It just so happened that the trailer for the Mercedes was parked in an area near a deserted section of the beach. 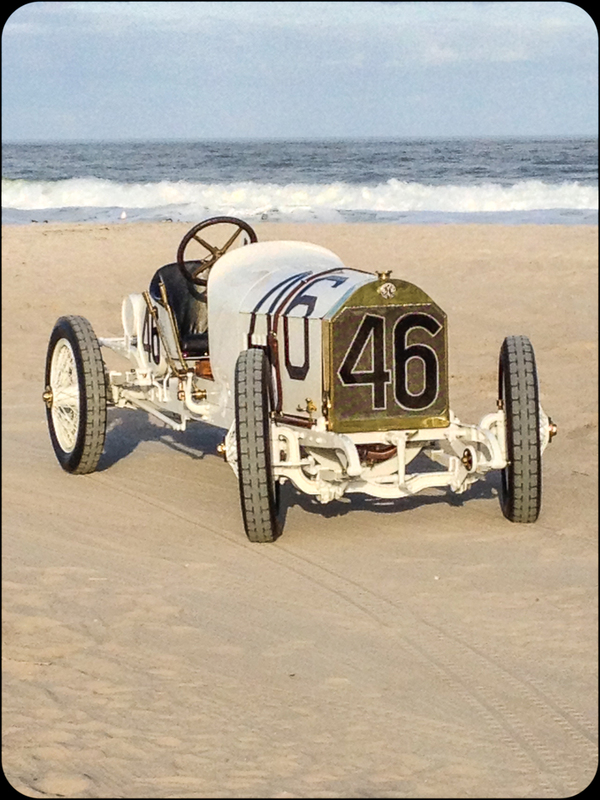 Richard asked Hans Wurl, the manager, to drive the vehicle onto the sand for photos. Best of all, I got a ride! The bumpety-bump, jostling feel of the car was somewhat akin to riding a bike with firm tires down a cobblestone street. The horseless carriage engine made put-put sounds and the airy openness provided a totally outrageous view. The brief ride gave me a memory I’ll always cherish. I have now learned that many car enthusiasts acknowledge this roadster as the world’s first sports car. How cool is that? So there you have it: my ride in a million dollar baby.